﻿ Seven Gifts that are inauspicious in the eyes of Goddess Laxmi! BoonToon September 18, 2018 February 16, 2019 No Comments on Seven Gifts that are inauspicious in the eyes of Goddess Laxmi! The one festival in India that is celebrated above the caste & religion that is Diwali. Every year it is celebrated on the darkest night of the Hindu month Kartika. Ths festival of lights, i.e. Diwali is a five-day festival begins with Dhanteras and ends with Bhai Dooj. Diwali symbolises the spiritual “victory of light over darkness, good over evil and knowledge over ignorance”. During the five days of the festival, people cleaned their homes, workspaces and enlightened with colourful Diyas and lamps. There is also a tradition of making beautiful and intricate Rangoli at the entrance of the house to impress Goddess Lakshmi – the Goddess of wealth. It has believed that on the night of Diwali, Goddess Laksmi and Lord Ganesha visits every person home and bestow them with prosperity, good health and Longines. During the five auspicious days of Diwali, people get an excuse for exchanging gifts. 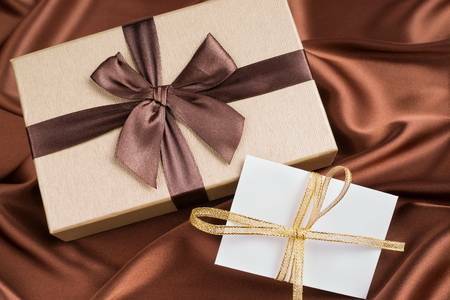 They thought giving gifts brings positive energy and vibrant into someone’s life, but at times there are few gifts that are good to buy for oneself but not considered to gift others. These types of gifts end up harming others. Giving inappropriate and inauspicious gifts are one such mistake that one should avoid. Below is a complete list of all the inauspicious gifts which one should avoid to give others because they are considered as a misfortune in the eyes of Goddess Lakshmi. Idols of Lakshmi-Ganesh Ji: In Hinduism, it has believed that Lord Ganesha & Goddess Lakshmi bestow good fortune, knowledge and prosperity. On Diwali, the one who worships them with an open heart the Goddess Lakshmi & Lord Ganesha wishes them with wealth and peace. 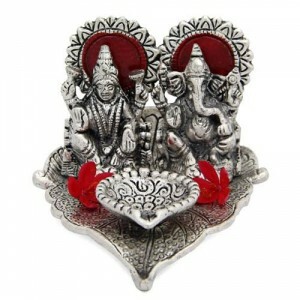 Though it is good to bring the idols of Lord Ganesha & Goddess Lakshmi at home it is not considered suitable to gift someone else, not likely to a family member and relative. 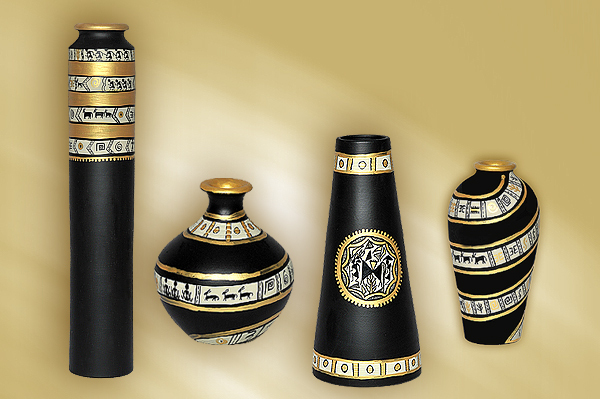 It signifies that you are redirecting the God & Goddess away from your home. Anything that is of Metal: Buying Gold, Silver, and copper is favourable for oneself. 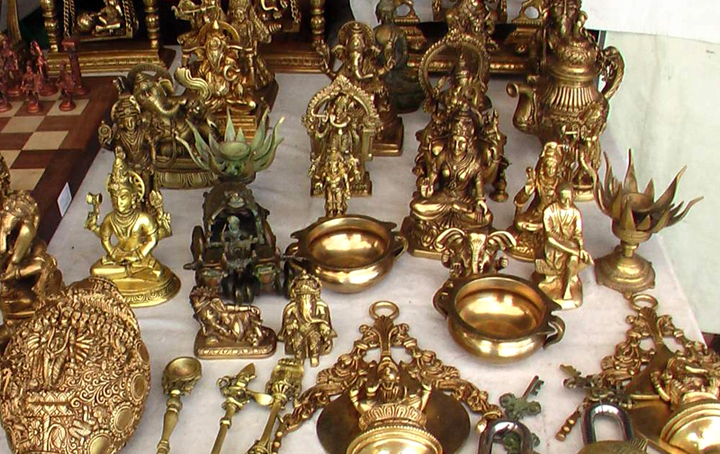 But one should not gift these five metals as Diwali gift: Silver, Gold, Copper, Bronze and Brass. No silk cloth: Giving silk cloth to any member of your family or relative on Diwali bring bad luck. So, say no to silk clothing. Stay away from steel & iron: make sure not to gift anything that is made up of steel and metal as it considers inauspicious in the eyes of Goddess Lakshmi. Do not buy anything for anyone else: Buying gifts for someone else on Dhanteras in inappropriate. Also, don’t give others old used stuff like clothes, and other household articles. A big NO to oil/wood: One must avoid buying the oil and wood for their homes, it is considered misfortune. Don’t buy anything Black: Avoid purchasing gifts and appeals of black colour as black is the colours denoted to Lord Shani so avoid purchase anything which is black for five days of Diwali. Diwali is a festival of lights and happiness. So, give something that is unique and attractive at the same time. 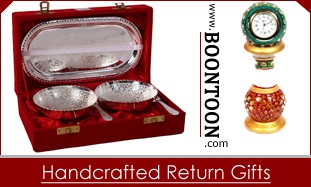 Give Handicraft items to family members & relatives which add glam to their homes along with the boxes of sweets, chocolates and something auspicious like Diwali Pooja Thali. Are You Wrapping Up a Bribe with Diwali Gifts?